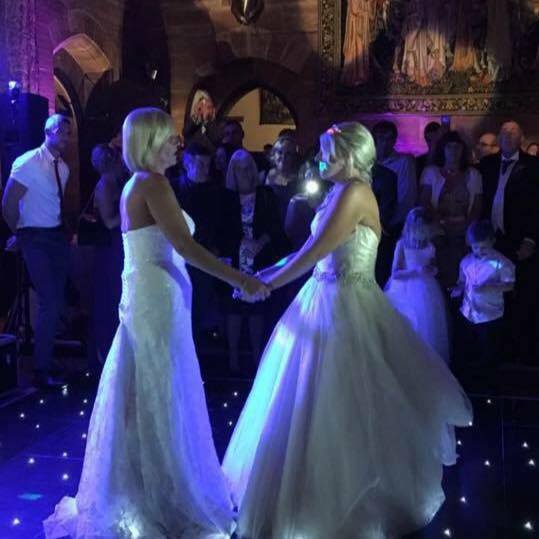 Andy B Events were pleased to supply our popular wedding DJ Stu for the evening reception of Mrs & Mrs Gouldie at the beautiful Cheshire wedding venue that is Peckforton Castle. Congratulations to Debbie & Angie! We offer professional mobile DJs complete with smart & modern set ups who are experienced in playing for all kinds of events (especially weddings). Our DJs will also act as host if required. Dress code is normally suit & tie or black tie as appropriate for the occasion. Music will be tailored for your party, ensuring a successful night.